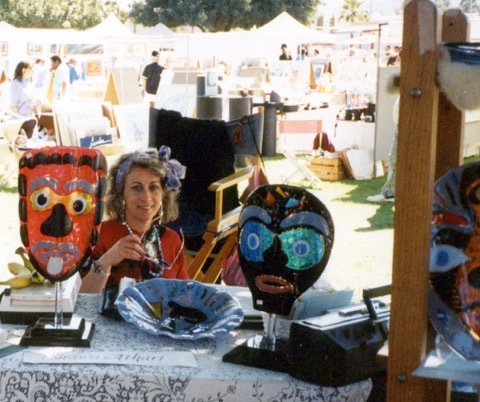 In the 80’s and 90’s I’m proud to say that I won first place and purchase prize awards at 95% of the shows where I exhibited (that gave them)!. In my many years attending art shows, I have been honored with many blue ribbons for best in show or best in class. These awards were presented to me at some of the most prestigious shows in the West, including the La Quinta Art Festival, Affair in the Park (Beverly Hills), …..
Also, I was honored to be selected for the Windows at Tiffany exhibit at the Tiffany store in South Coast Plaza, and as featured artist at Neiman Markus in Beverly Hills. for several years.